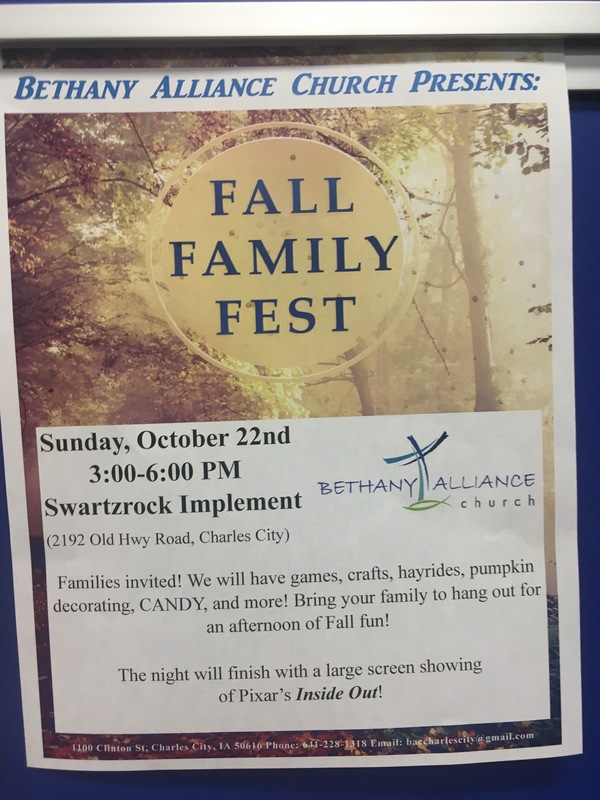 CHARLES CITY — Swartzrock Implement is again hosting the Fall Family Fest at its place at 2192 Old Highway Road. This entry was posted in Bulletin boards, Calendar, Charles City. Bookmark the permalink.